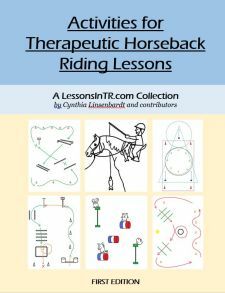 During this series on autism I got a few requests for ideas for nonverbal teen and adult riders with autism. I think this is a good topic to address. However I don’t have a ton of experience in this area, so I’ve done some research and asked around. This is not comprehensive, but here are some ideas that I hope will help! Most are geared toward teens and adults, others are just toward adults. First off, let’s get a view of what the world of an adult with autism can be like, because this will better help you understand your rider. When they grow up, some expressions of autism decrease, while others remain. Graduation from high school marks the end of most government supported services. While the government requires that all public schools provide special education, there is no similar “on-stop” shop for services in adulthood (Rehm). Every year 50,000 individuals with autism enter adulthood, increasing the need for more support services in the US (Rehm). Note this is not unique to those with autism, but is a current trend in young people all over the country, particularly those in poor neighborhoods who drop out of high school and can’t find work – but it does “manifest in a particular way” in people on the spectrum (Rehm). The above not only helps you understand your rider, but directly impacts how you interact with them and what you work on with them. Many teens and adults with autism can work on the same intermediate and advanced skills that you and I can, they will just need adapted teaching and communication methods to learn them. When teaching the whole pattern, show it to them on paper and have a handout to take home to memorize. Then call the pattern out for them as they ride through it several times. Lastly ask if they would like to ride it again on their own without you calling it out. We have one rider we did this with who after 2 practices was able to ride it without any instructions, and he called out the pattern for himself as he rode! If they have good balance, letting them ride independently will help them learn a lot faster how to control their horse on their own. Some riders will stop trying once someone helps them out, so unclipping and requiring that they do it themselves is the best response. Be patient! Riders with autism need concrete explanations. Giving the reason for playing a certain game gives them motivation to participate. Tie the reason back to the riding skill or goal they are working toward. Shows may include the Special Olympics, annual fun shows, local shows, special events, etc. 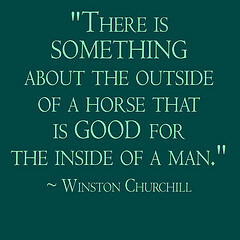 If you can, let them help get their horse ready and put it away. This teaches them responsibility and horse care. This provides time with their horse and time to transition. We find this time is essential to bonding with their horse and helping them prepare for their lesson. Some love to stroke their horse and feel their presence. One of our riders is very sensory and loves to smell her horse while grooming, which helps her adapt and bond. It seems to center her and put her in a good place for her lesson. We have found that she will smell her horse’s head and try to hold it so close the helmet may bother the horse, so we always have a leader stand right in front of the horse’s head to prevent any accidents. If the rider knows a lot about a certain topic, encourage them to share about it. They may not often be in a position where they know more about something than everyone else AND everyone else is willing to hear about it. Guide them through correct social interactions so they can learn to socialize with others on a positive level. Speaking of socializing, as riders with autism get older the focus becomes not just riding or behavior, but also relationships and establishing connections with others. They don’t just need riding skills, they need fulfilling lives and friendships. Help them develop relationships and establish connections with volunteers or other riders. Facilitating social conversation during grooming, riding, etc. As teens and adults, they are learning to be an independent adult. So developing social skills is just as important as developing riding skills. Make sure they greet their volunteers by name at the beginning and thank them at the end. If they are nonverbal they can wave or shake hands. Try to keep them in conversation – ask them about their day, their classes, etc. Make sure they respond to your questions. This is important in the adult world. Make sure they know that when someone talks to them, they need to give some outward response to let us know they heard us. Encourage them to try new things. We find that when riders get anxious, it works well to say, “Let’s just try it and I bet you’ll be fine.” If they are still too anxious, we break it down into smaller steps. Creates opportunities for independent horse care and bonding with other riders. One barn I worked at created a lease program in which more advanced riders took 1 lesson a week and came on Saturday afternoons for 2 hours to groom, tack, ride, bathe, and hand graze with the goal of doing everything independently, bonding with their horse, and working on what they learned in their lesson that week. The first few weeks were a huge learning curve as they had difficulty getting their horses ready all on their own and needed a lot of help, but it was a great learning experience for all of them and within a month they were able to do it all on their own and make their own decisions about what to do with their time with very little help from the instructor. The neatest part was how the riders bonded and played together while riding. They were all so different but all loved horses, and would set up the arena with their own patterns and play games such as knocking over cones and trying to knock them back up. To motivate – use in lessons to provide impetus for activities and exercises; use to teach skills – be creative! Enjoy and appreciate their unique perspective and gifts! Choose your battles carefully. You must decide whether to push them through a difficulty, break it down into smaller steps, replace it with an alternative, or move on altogether. Clear and short avoids information overload. If you give them too many words, they may have trouble determining which info is important and what you want from them. Use concrete commands instead of questions. Statements are easier to understand, while questions bring another level of meaning in. Facial expressions and social cues may not be as effective, so don’t expect them to be! However, still try to teach them. Be careful with open ended questions. We use them to be polite, but this can confuse the individual about whether they actually have a choice or not. When you do ask open ended questions, accept any answer. Alternatives are “Time to,” “Next let’s,” “Now let’s” etc. They may need time to process before responding. Don’t do anything to distract or confuse them while they are processing (adding more info, gestures, facial expressions, eye contact). Wait at least 10-15 seconds for them to respond in some way, without them feeling rushed or stressed out. In the adult world it is important to give a response so the person knows they were heard. Don’t make a request unless you can follow up and help them respond. If they consistently are allowed to not respond, they learn to ignore others when they speak. Be clear about whether you are making a statement or asking a question that needs a response. Make them look and sounds different. For questions, go up in tone and wait with a look of anticipation. Be sensitive about how you require a response or get their attention. Turning their body toward you works well. Turning their head can be too intrusive. To end, here is a good video that shows two adults with autism and how professionals and their families interact with them. It is called “Working with people with autism: the professionals” by the Social Care Institute for Excellence. Barb, one of my co-instructors offered valuable insights on working with her riders with autism! Foden, Teresa J. “ADULTS WITH ASD: THE SPECTRUM.” October 28, 2008 http://iancommunity.org/cs/articles/adults_spectrum. Rehms, Diane. “Caring for Adults with Autism.” Interview with Paul Shattuck, Ilene Lainer, and Valerie Paradiz. http://thedianerehmshow.org/shows/2015-06-10/caring-for-adults-with-autism. That’s the end of the series on Autism! I hope you found it helpful! I would love to hear your ideas for teens, adults, and nonverbal adults with autism. What teaching tips and riding activities have worked for you? Thanks Nan! That looks like a really great resource, thanks so much for sharing that link.